On a night when so much is happening at once, working on the fly to update viewers is critical. 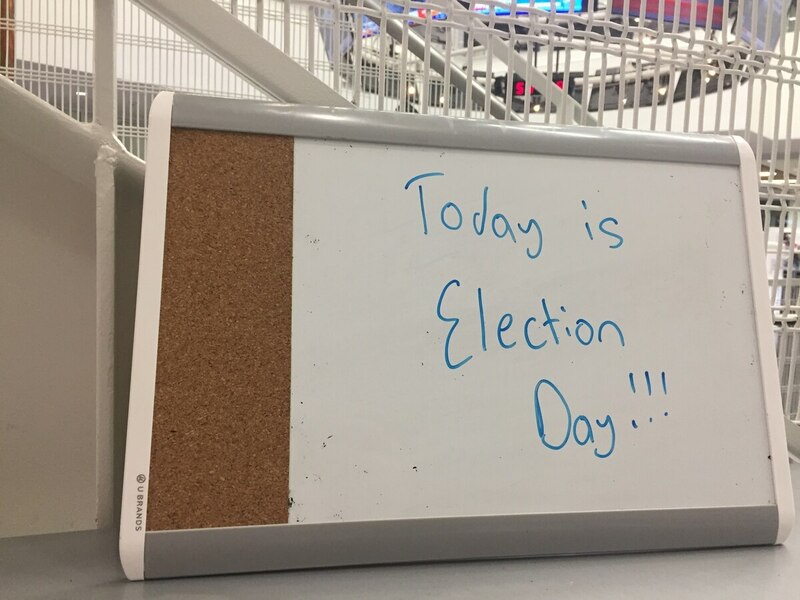 Election Day in the Annenberg Media Center produced a mix of excitement and stress for those working it. In today's world, all we hear is about the emergence of digital and social-based content, ready for a consumer's fingertips. Television seemingly drifts into the background…except when it doesn't. On Election Night, television certainly does not drift into the background, as Americans rushed to their TV sets to watch the results come in and find out who will represent them. Now, as a producer, this certainly set up for an interesting week, as I wanted to make sure we were hitting all the right notes for our audience in the heat of the moment. I had the unique opportunity of having my day-of-air shift be on Election Day itself. With the show going live at 5:30 p.m., we knew some results were already going to be in by the time we hit the air. During the day, this part of the show was fairly blank as we waited for the results to come in. About 15 minutes before the show went on the air, I started going through each graphic we wanted to show and updating with the results at that particular moment. This was very stressful because I wanted to get the latest results while also making sure we had all the right information in the right places for both people to see on the screen and for our anchors to read. Ultimately, it was a great window into what the live television process is all about, and one I was lucky to have experienced up close. We wanted to show races that were expected to be close, and ones that both sides of the aisle were clamoring over. For example, the Georgia and Florida gubernatorial races, as well as the Florida senate race became national stories quickly. With both parties incredibly invested in their candidate, we knew this would be something that we wanted to hit on immediately, especially given that the results would start coming in before the newscast. As such, these results started our lead story where we had our political anchor, Morgan Stephens, reading off results. For a student organization in general, we want to provide insight into topics we believe students should be interested in. This is definitely easier said than done, but I think there are certain issues in this election that are more pertinent to students than others. For example, there were propositions in California about rent control, a gas tax, and a change in Daylight Saving Time, among others, and these topics are all of interest to a student audience. As such, various Annenberg Media reporters covered them in the lead up to Election Day. Also highlighting the California gubernatorial candidates' policies and philosophies leading up to Election Day and how their stances affect students is important to inform our audience, and we did this as well and heard from both candidates on ATVN shows leading up to the elections. On the Tuesday ATVN show, having two reporters at each gubernatorial candidate's watch party was a cool way to take viewers into the moment of what the candidates are feeling, even if the show aired hours before the results were final. While thinking through the steps of what a show should look like is fundamental for any week, Election Night brings this foresight to another level, and one that was interesting to be a part of.